ESB - New Era Housing Project. Vinyl EP. Bleep. 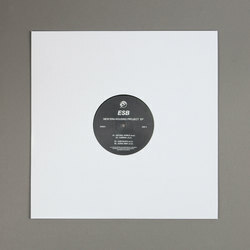 Echovolt Records (Steve Summers, Legowelt) provide the home for the latest ESB EP. New Era Housing Project is a record of hazily gorgeous deep house tracks. There is a strong NYC feel to the cooler-than-cool struts of ‘Natural World’ and ‘6400 Block’, while ‘Carmina’ showcases a light acid influence. The record’s slightly trippy vibe will appeal to anyone who has enjoyed releases from labels such as 1080p, Mood Hut and Planet Euphorique.